This image has been floating around Facebook lately. A few of my friends have posted the image to their walls, and i’ve been a good boy… I’ve kept my opinions to myself, for the most part. The extent of my comments on Facebook are limited to a few i made to a post made by a more trustworthy friend, one whom i can usually expect intelligent discussion with rather than heated arguments. On Facebook, i simply pointed out that democracy, godlessness, quality of education, and perhaps even IQ all seem to be somewhat related — or at the very least, certain highly godless nations seem to be not only incredibly democratic & free of tyranny, but they are better educated as well. Not only is the opposite of being ruled by God not being ruled by tyrants, but being ruled by tyrants is not all that dissimilar to being ruled by God. Fortunately, the scriptures are very clear on this matter. The bible depicts God as the only and absolute King of the universe, who rules over all, and does everything he pleases (Exo 15:18; 1Ch 29:11-12; 2Ch 20:6; Psa 22:28). And not only is he sovereign in some abstract way, in that he retains the right to govern all events actively according to his will, but chooses not to do so; but he actually and actively ordains and brings to pass everything that takes place on the earth (Deu 32:39; 1Sa 2:6-8; Job 9:12; 12:6-10; Psa 33:11; 115:3; 135:6; Isa 14:24; Isa 45:7; Act 15:17-18; Eph 1:11). From the smallest matters of “chance,” such as the casting of a lot into the lap (Pro 16:33), to the greatest events of the earth’s mighty kingdoms (e.g. Isa 45:1-4), God is bringing all things to pass according to his will. He governs and superintends “coincidental” happenings (1Ki 22:20, 34, 37), the wicked actions of men (Gen 45:5; 50:20; Exo 4:21; Jdg 14:1-4; Psa 76:10; Pro 16:4; 21:1; Isa 44:28; Amo 3:6; Act 2:22-23; 4:27-28), the good deeds of men (Joh 15:16; Eph 2:10; Phi 2:12-13), the actions of both evil spirits and good angels (1Sa 16:14-16; 1Ki 22:19-23; 1Ch 21:1/2Sa 24:1; Psa 103:20-21; 104:4), the habits of animals (Num 22:28; 1Ki 17:4; Psa 29:9; Jer 8:7; Eze 32:4; Dan 6:22), and the operations of all creation (Gen 8:22; Psa 104:5-10, 13-14, 19-20; Mar 4:39). That’s a long quote, but it illustrates the point well: God is an absolute ruler who rules without restriction. According to the first definition of tyrant, God is a tyrant. When two priests worshipped God by offering up fire to him which wasn’t commanded of them, God struck them dead (Leviticus 10:1). When Jesus sought some figs from an out-of-season tree, he didn’t humbly admit his mistake in timing but cursed the tree out of frustration, resulting in the tree shriveling up (Matthew 21:18–22). Adultery? Death for both parties (Deuteronomy 22:22)! And let’s not forget the most striking evidence of God’s harshness: commit just one sin — just one! — and you will be punished with eternal hellfire, and it doesn’t matter if that sin is wearing polyester. Burn, baby, burn! Is God oppressive? If a human ruler demanded your absolute obedience under penalty of eternal damnation, would you consider that ruler to be oppressive? What about one that does not shy away from referring to his citizens as “slaves”? God does both… unashamedly. Is God harsh? Yes (see above). Is God arbitrary? To be arbitrary is to do things according to your own desires rather than according to reason, and it comes as no surprise that Christians speak so often of “the will of God.” All of the crazy laws of God, all of the random punishments (why some folks are instantly killed for minor offenses [Nadab & Abihu] while others are allowed to perpetuated thousands upon thousands of heinous sins [Hitler] can only be explained by believers as being part of “the will of God”)… If anyone is arbitrary, God is. …and those attitudes run throughout the New Testament as well, from Jesus’ “if you’re not with me, you’re against me” speech to the violent inauguration of the kingdom of Heaven in Revelation. Do Godly Men Act Happier Than the Non-Religious? Please forgive me if I am mistaken, but you seem to be an atheist. I am trying to understand how you can prescribe something as good when you believe there is no such thing as good or evil. Christians use God as a moral reference point. I am not saying that individuals who are atheist or non Christians are not moral, but I just do not understand what is your reference point for morality. Forgive me, but i’m trying to understand how atheists having no moral absolutes undermines anything i said above. Understanding the God of the Bible to be tyrannical doesn’t require moral judgments; it requires understanding what a tyrant is (the dictionary affords us that much) and how God governs (the Bible affords us that). Yes, i am an atheists, but you’re setting up a straw man argument by honing in on the source of morality and so forth. (Morality is nothing more than societal mores; folks have had moral standards throughout history, changing with time and circumstances… No god(s) needed. It’s simply how humanity works.) You’re also ignoring the point of the above. If God isn’t a tyrant, then how do you define “tyrant”? And if God is a tyrant, what then should Christians do with that knowledge? but if, as you say, God is tyrannical than why would he send his only SON whom he LOVED to DIE on a cross for US. we don’t even begin to deserve his love or forgiveness! You emphasize “die,” but when something is dead, it doesn’t walk around for weeks, giving final lessons or hanging out with friends. Jesus’ so-called death doesn’t fit the definitions of either death or sacrifice; it’s a farce, invented by Paul and embellished by the gospel writers… and logic wasn’t exactly what they are going for. then solving the problem by having Jesus “die” so that believers won’t be punished? No, that’s extremely tyrannical behavior: creating a problem, pushing your people into it, and then solving it through no real sacrifice of your own, all so that you can be glorified and praised? That’s “How to Rule as a Dictator 101,” right there. also, is there ANYTHING more humbling than dying on a CROSS? Is there anything less humbling than an all-powerful person pretending to die for a weekend? you are missing the BIGGEST part of Christianity. God LOVES us with a never stopping, never ending, never failing, everlasting love. GOD LOVES US. God loves us so much he sent his son to die for us. how can he be a tyrant? God isn’t cruel as many would like to believe. God is JUST. there is a HUGE difference between those two words. If God is just, he would kill those who commit the sins, not somebody else on their behalf. If God’s love is never stopping, never ending, never failing… then there’s no way he’d suffer anybody to burn in Hell and we can all live and let live without fear of future consequence. I don’t think the Bible necessarily ‘portrays’ God as anything. If you’re going to stay consistent with God being responsible for the entirety of scripture, then you are suggesting that He is calling Himself a tyrant. Bible believers believe that everyone is born depraved and deserves punishment, but the plan of salvation provided through Jesus is acceptable payment for our punishment. Offering up your son to die doesn’t sound very tyrannical to me. I definitely understand what you’re saying about the old testament punishments that are talked about. I, too don’t necessarily understand them other than it was deserved. Romans suggests that God will have mercy on those he chooses… but for Him to be God, His character and attributes must be perfectly balanced. I trust that his sense of justice and righteousness would be better than mine. Now before anybody starts making assumptions about blindly following a tyrannical dictator, this is God of the universe – not Saddam Hussein. I think the standard is divine – much more serious than some sort of political argument or worldly definition of peace. Somewhat related to the subject, I’ve heard and read all these quotes about why doesn’t God stop all the evil in the world? The short answer – He has. The long answer – What is evil? Suppose we define evil as whatever is morally wrong or against God. If that’s the case, where does it stop? The murder level? The adultery level? The lying level? The thought level? If God were to wipe out all evil, He would have to wipe us all out because our thoughts are evil. That’s where – again – Jesus came to die for us. That’s the plan to destroy evil. God, not being bound by time, sees it as done. Us being bound by time, well… here we are trying to figure things out. You say you are an atheist, but you are acknowledging his existence by calling him a tyrant. I am christian and believe He is merciful and chooses to use the Bible as a means for us to know Him and for us to share with others the idea that there is forgiveness. I guess the bottom line for me is this – I believe it. Just like you might believe he’s not there… it takes faith to believe either one. Now, where did evil come from? Hahaha! …I don’t know. Sorry, though… my thought process is a plate of spaghetti. This statement is irrational and arbitrary. . God declared something like disobedience to him as evil, and then declared an arbitrary sacrifice to clean it. Oh, and those that are “saved” are expected to serve both Jesus and God in Heaven for eternity. You are just confirming that God is a tyrant by bringing this up. Omnipotent beings are be definition not limited by anything, even things like balance. The god of the Bible frequently acts imperfect and unbalanced. Your argument is invalid both ways. Apparently you do not understand the statement of being all powerful. If one is all powerful, one can change rather than destroy. An omnipotent being can eliminate evil without violting free-will or eliminating thoughts. God’s previous attempts to “destroy” evil failed. Even after the Flood and Jesus’ sacrifice, evil is still here. God either failed or he desires evil to exist. Oh, and why hasn’t God just eliminated Satan? No one can answer me that. But he didn’t stay dead for us. Not much of a sacrifice. He exists as a fictional character. There are many many fictional tyrants. Are hypothetical situations beyond your ken? Sounds like you’re excusing his tyrannical actions. It’s okay. Abused spouses often do that, as do citizens in dictatorships. It came from God. Isaiah 45:7 “I form the light, and create darkness; I make peace, and create evil; I, the Lord, do all these things.” I suggest you read your Bible in its entirety rather than let your pastor feed you tiny easily digestible bits. Seems to believe that the God of the bible is tyrannical you have to accept the idea that He is in control of everything. That idea is not scriptural though. Seems apparent that God does not always get what He wants. God would that ALL be saved. Are ALL saved? It is almost like He has left us with choices to make and responsibilities to carry. Quite the tyrant. I am fully aware of what the Bible says regarding all of that (a quick perusal of old posts here will show that), but ultimately it boils down to the fact that the Bible is a novel wherein the main character (God) threatens the reader with a disease (sin) which not only is the main character the only one able to diagnose this disease but is also the only one who can provide a cure. And that’s not the worst part… The worst part is that it’s the same story told by many religions throughout history, such as the story of Horus in Egyptian mythology. More to the point, though, you began your post with “you completely misinterpreted the bible.” Okay, as they say, put up or shut up: How did i misinterpret what i was talking about? Simply pointing out something perceived to be a positive (“We’re doomed, and God has the cure.”) does not discredit anything i said, especially when what you said is reworded to be more honest: We’re doomed because God dooms us, but he also provides a means of being saved, itself an entirely arbitrary choice on God’s behalf. the bible isn’t a NOVEL it is the WORD OF GOD! Unfortunately, there is no reason to believe that the Bible is the word of anyone other than the kings, apostles, and others who put pen to parchment. No. The wages of Sin is HELL. It’s obvious you’re the one who knows nothing. Christians do die on this earth but we have ETERNAL life in heaven with God! I’d like to believe that, but unfortunately, there is no evidence to support that faith. Evidentially speaking, it is just as likely that Muslims will enjoy Heaven while everyone else will be damned. That’s the problem of believing things which aren’t supported by what we can know: Just about any myth can be substituted in without a change in logic. 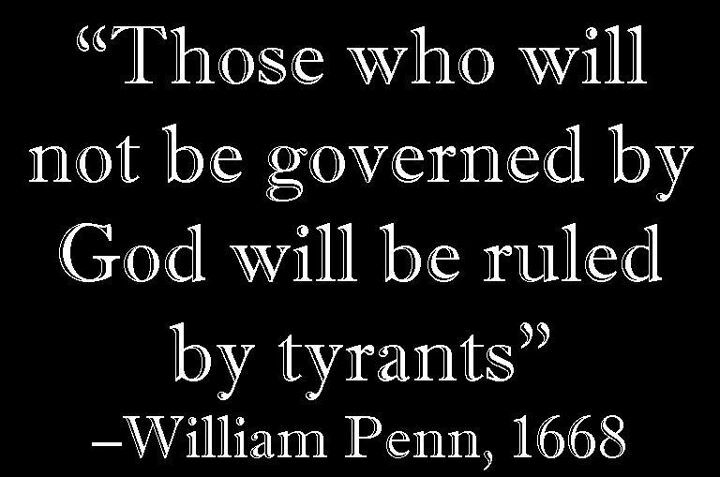 Yes, God is a tyrant. Offering up a son to death is human sacrifice even if the son “volunteers” or follows a tyrants command. There is no salvation in human sacrifice, even if someone calls him a lamb. There are ancient pagan reasons for this story and other stories in almost all attempt’s and successes of organized religion throughout history. Now we who live in the midst’s of these religion, myths, mysteries, theories of theology must put up with tyrants. Even our denial of the myths leads them to believe we must be sent to hell or killed by them acting as God’s tyrants. We are in a sad affair of cullified sheeple willing to go to wars to kill millions and for various reasons not based on truth but, on fear. Fear of terrorism, fear of hell, fear of life so that others can control us … or so they think. Because men use God as their justification for wars, death, and evil of all sorts, we are left to the atrocities we see today and throughout history. We even congratulate the warriors of the wars and promote sacrifices of the most innocent, the unborn children. God will not allow these misdeeds to go unchecked. We need better moral policies and a more honest, least threatening government stance. It may be too late since we have pretty much offended the whole world with our atrocities and wars so now it seems all stops have been pulled out and wars, abortions , death (death with dignity), health care death panels, etc. are to become the norm. Here is a view, which most People, driven by their Ego’s dont want to accept. God is the Ruler of the Universe. Ruler is inapropriate here, because God is everywhere, but needed to be written, as understanding to the humans. Beeing everywhere and beeing the first what there was and what there ever will be, it makes him , in Human terms a Ruler. The next thing is, that he didnt wanted to be alone, and he has Created a Son, which is in His mind Forever. Beeing of God, and a part of God, he has the same power to create like his Father. And he has to create like his father did, because, in this case a+a=a. This is simple matematical formula, what is a, needs to create a to be a. In his universe if Love creates Love, it turns out to be Love. This Brings us to the next formula, on which you will agree, a+a=b. Because you have learned that, 1+1=2, you do not understand that for God is a+a=a, and that it needs to be so. When God says that, if you do not follow His rule, which is love, then the meaning is, that you will be ruled by an Tyrant. This is the case where a+a=b is. If you want to have Love, you need to give Love, to have it. If you think about this like Sun and sunrays, then you will understand, if the Sun wants to have its Sunray, He needs to give it. You will understand that this is the basic rule, which have to be, because the Sun is giving the sunrays automaticaly. So when the Son of God dreams, only then it is possibile for him to have things like a+a=b. Where the humans are, in this God-Son of God relationship, i cant tell, only guess. the Ego of the Son. And the Son, beliving in what he has created, gives power to his Creation (sun-sunray principle). Creating unlike his Father did, is a try to Create what God has not willed. But what God has not willed, has no power. As God is Love, he can Create only Love. As God is Life, he can Create only Living things. Humans may think of themselfes that they are Godless, but, if you remember that God, beeing life,is always giving life, so it also follows, that if your alive, you are living. If you Choose Death, it automaticaly follows, that you are choosing against God. If you Choose to Hate, Then you automatically choose against God. because there are Many Books arround which can help you in Your Awakening. The way to God is the way Back to Love, and the way back to Life and Live. That’s the Greek definition of the Supreme Being, not the Biblical one. Christians will often use this argument which was stolen from Greek Philsopheres. The God of the Bible is not perfect. The God of the Bible is not all loving. The God of the Bible hands out death by the millions and frequently hates. Rich, you bring up some interesting points. The most interesting of which I find to be your conclusion that if God is indeed a tyrant, which I believe you have reasonably deduced that he is, what should a Christian DO with this knowledge? While the word “do” presupposes that there is some sort of free will in which a believer can choose this way or that, I postulate to you that there in fact no choice whatsoever, and that the only way to please this tyrannical oppressor is in fact to obey his every whim and command. What a bleak existence that would be. It would be bleak except for the fact that there is a promised reward to those who follow the Creator. It is not unlike a despotic monarch granting titles and land to loyal lords. We moved past despotism for a reason. Well said, but we arent talking about King George here. How can a man fight God? The power of superstition is only so great as one’s belief in it. The gods — any gods — can be fought effectively through unbelief. You’re correct again, but unfortunately for me I was robbed of that. I could no more disbelieve God than deny my own existence. I’m sorry if I’m coming off snooty, but I believe this mindset to be a curse, not a blessing. Woe is me. I envy those with the willpower to disbelieve an omnipotent being. May the spirit of true rebellion reign superior over the plan of the Creator! Once you realize that there isn’t a being out there that cares that you’re having doubts or rebellious thoughts, then simply continue on from there and live as though there isn’t. Finally, allow yourself to forget all about him/her/it and enjoy life in its honest simplicity. I know I’m oversimplifying the process — it isn’t always easy — but the payoff is well worth it: a free mind. We can try nuclear weapons. Also he dosen’t like iron chariots. If God is not real, why do you need to fight a non-existent God through unbelief? There is nothing to fight against. Being an atheist requires an unshakable faith. You must possess a rock solid belief that there is absolutely No God. Not an iota of a percentage point that God exists. Zero. If you are fighting still, you aren’t an atheist. Do Christian apologists that speak about Islam often believe that Allah exists? Do creationists who spend their days fighting evolution while never actually doing science believe that evolution is real? You see now how stupid it is to claim that arguing against the idea of God means that someone must believe in said God is. Being an atheist doesn’t require any faith. Babies don’t believe by default. Plenty of people are atheist and simply don’t think about or consider God or religion in their lives. I’m an atheist because I left religion when I realized how immoral the biblical god is and found that I couldn’t then find reason to believe in any other god, so I’m an atheist. I fight against God because the god of most religions (mainly Christianity as it is most common in America) is abominable and as a result followers of those gods tend to push abominable things onto non-adherents of those religions. If believers in God would keep such belief to themselves and out of science, schools, hospitals, statehouses, etc., then perhaps I and other atheists wouldn’t need to fight so hard. With our conditioned brains we think of religion and our god with the usual ideas and how they are important and how it makes sense. We find comfort in the tradition especially those which is related to our personal beliefs and sensitive and intimate to us. We are terrified of new ideas especially that which tries to explain the things we have always valued with totally new reasonings and yet sounding logical though hurting to the sentiments of a theist like myself. But its human and nothing to be ashamed of. Its natural. And I find myself comforting with the concept that its okay to be a theist and its also okay to have a flawed god. Its okay to have an imperfect god and its okay to have imperfections. So long our beliefs comforts us its okay to hold on to those beliefs. Its also okay to not agree with some our beliefs of our religion like eternal hell or punishments or gods wrath to those who disobey. We can always choose what beliefs suits our personal understanding of god. After all all these gods description was conceptualized by some individual who found all those concepts suiting to his personal beliefs and comforted him. Its okay to agree to some and not agree to some. And just because some atheist comes and explain that religion and god are all man made constructs its okay to agree to them and still remain to be theists. After all god is god. No one can ever come to decipher all of God ever. Its basically impossible. Some explanations will work and some don’t. But we can’t ever figure out all of God ever. God works in mysterious ways as they say. And the debate of good vs bad. I do get the point its all about reference points and will differ and vary among individuals. But its sometimes nice to have a personal set of what we consider good and bad for our own relief. Some turn to religion and some turn to reason like the atheists. Also I get the point that good vs bad is something pointless especially for God. Its all about his mysterious ways of which we are a part. But its okay to have certain goals and try and work for them even if they are destined for us or not. Its okay to work with free will even though it may not exist. Just like we do know the world can never be perfect but we should still thrive for it right. But dangerously its also okay to not thrive for it. Everything is okay atleast for god cause everything is pointless and infinite. But I presonally am more included to the thriving active camp rather than the passive. But its really up to individual what path they choose. The really powerful part of god is with his tremendous potential for good comes with the potential for bad as well. That doesn’t make him bad or tyrannical. He is tyrannical but actually it is something beyond that. He is beyond the definitions of good and bad or may be both or neither. He can never be fully understood. So yes god is dark and dangerous but I think for my personal comfort I would like to limit to God’s only positive aspects. At least it helps to go to sleep rather than sleep scared. So for all the theists like me out there its okay to be theists alright. And to those atheists out there its understandable that you wish to share your knowledge with us. But if you all are so intellectual then you should be understanding towards feelings as well. All humans whether theists or atheists crave love. So you can always make your point by being polite and respectful to others. That doesn’t mean you have to omit or withdraw some of your points. Just explain it more at length and detailed so that the others know what you are talking about and understand what you say without being hurt. Every body will listen if the language is respectful without subtle attacks on theists. This is a trite misrepresentation of information with poor context and vastly lacking in research due to a one sided view of the topic. God displays tyrannical attributes but for man to come to any real understanding on this topic we need non-belligerent study and communication. Just because the commenter’s ideas are not yours does not mean they are false because some of their information is better formulated from in depth study of the bible. This article needs more research and less attitude to be credible.